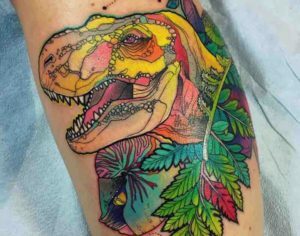 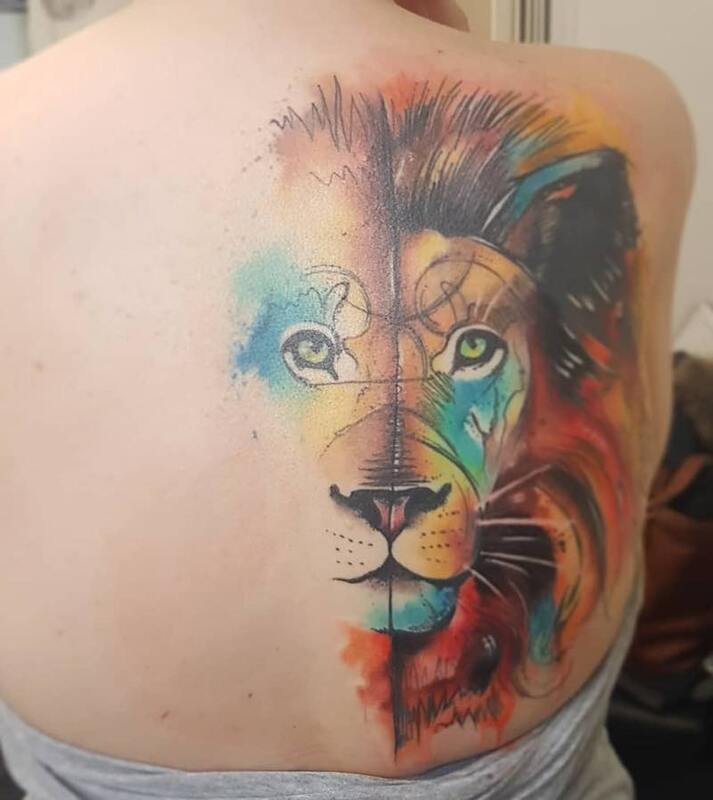 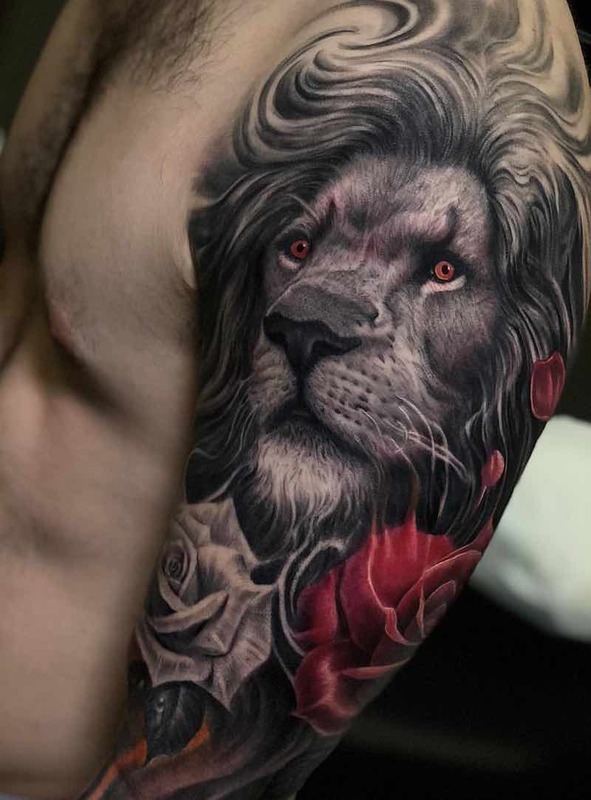 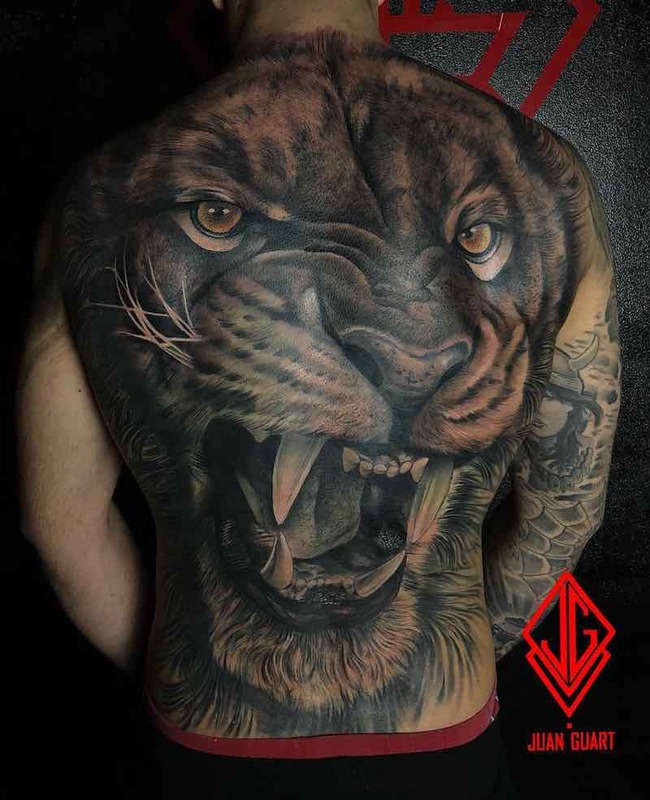 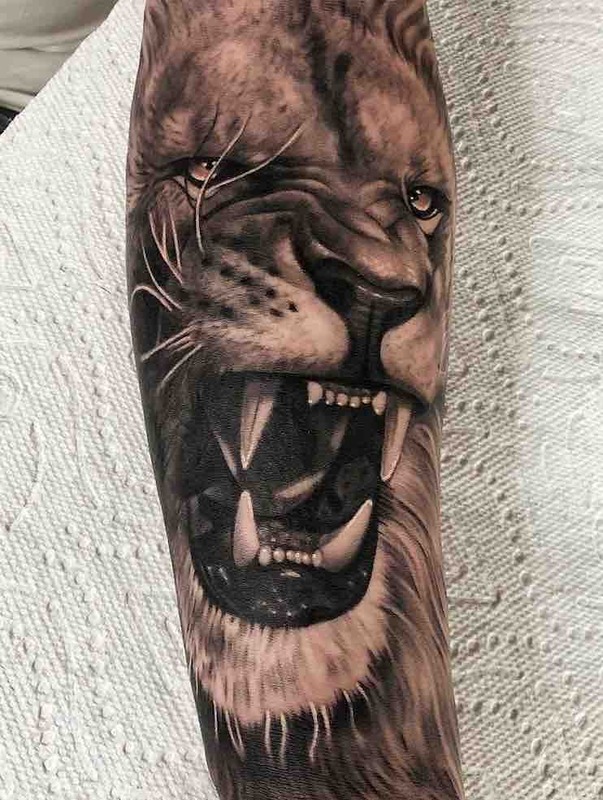 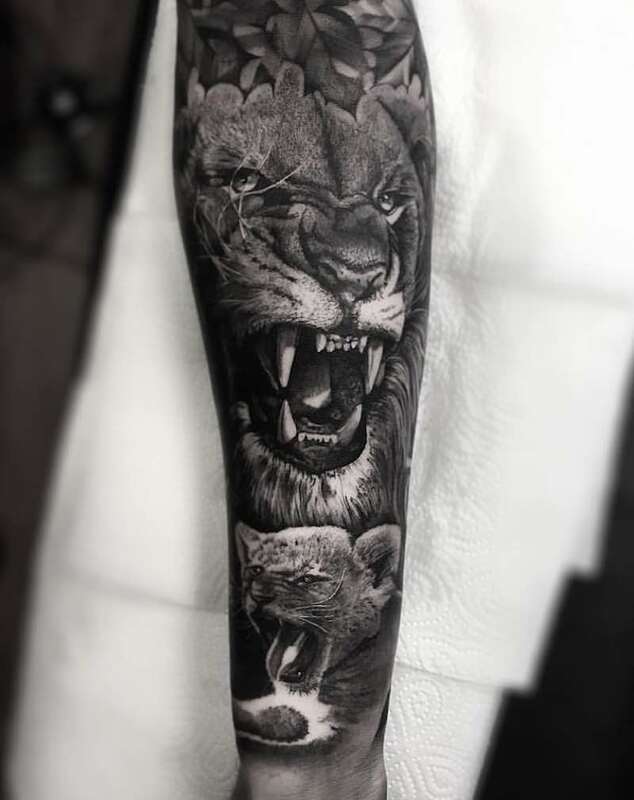 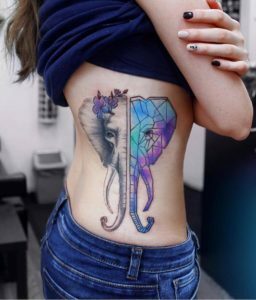 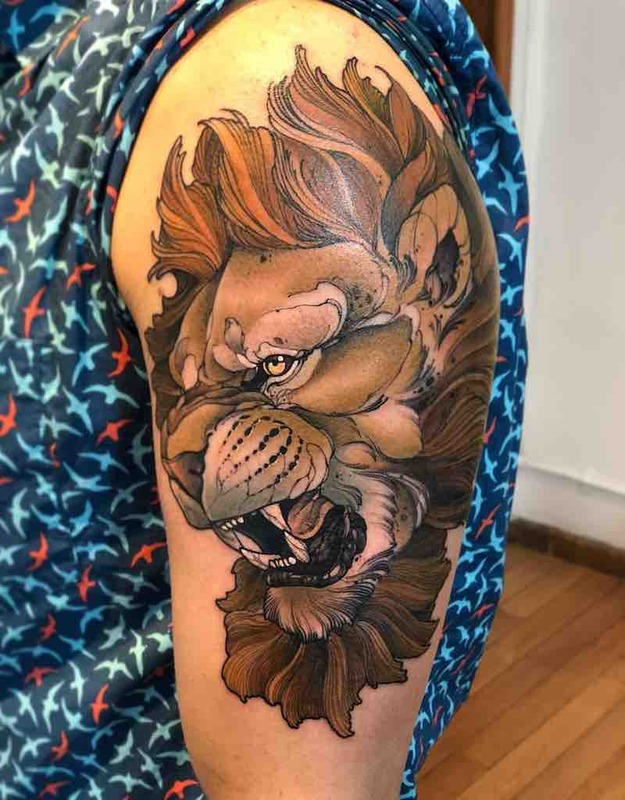 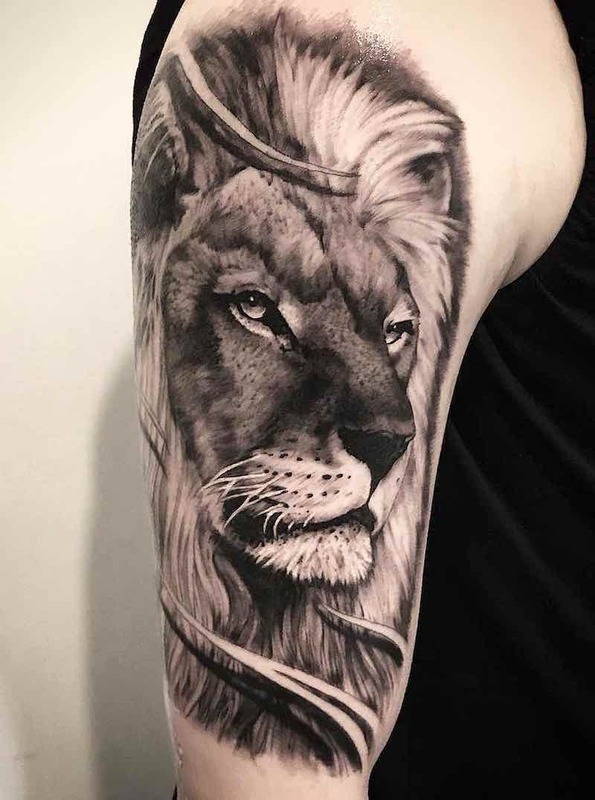 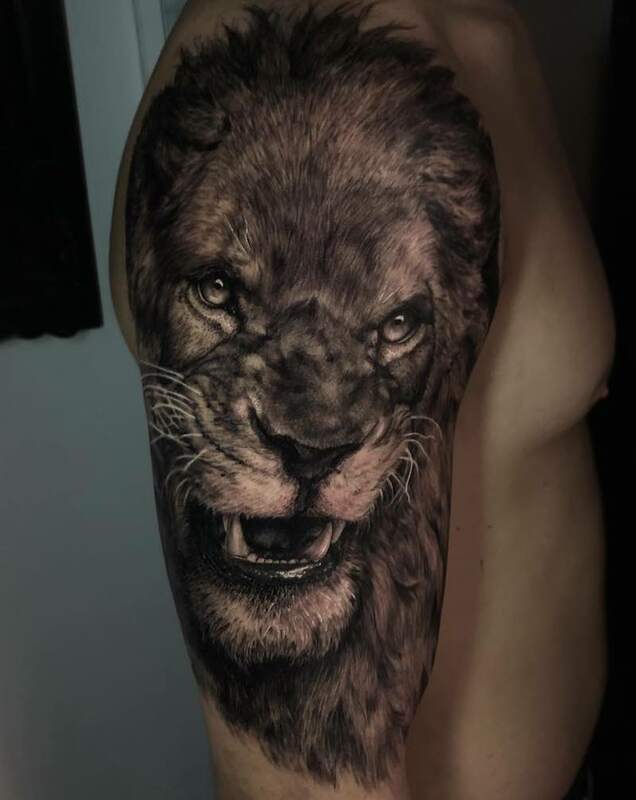 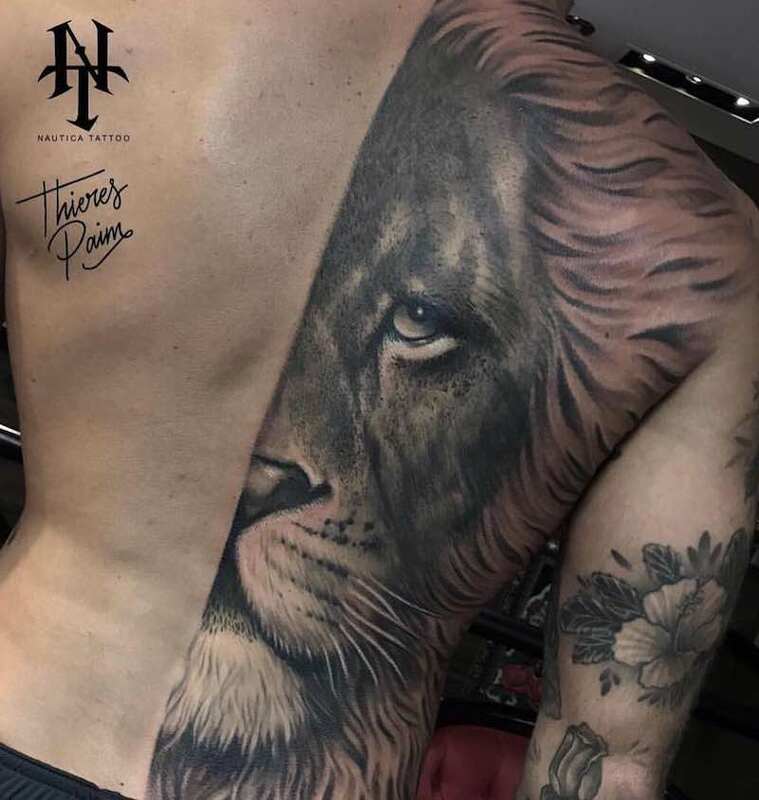 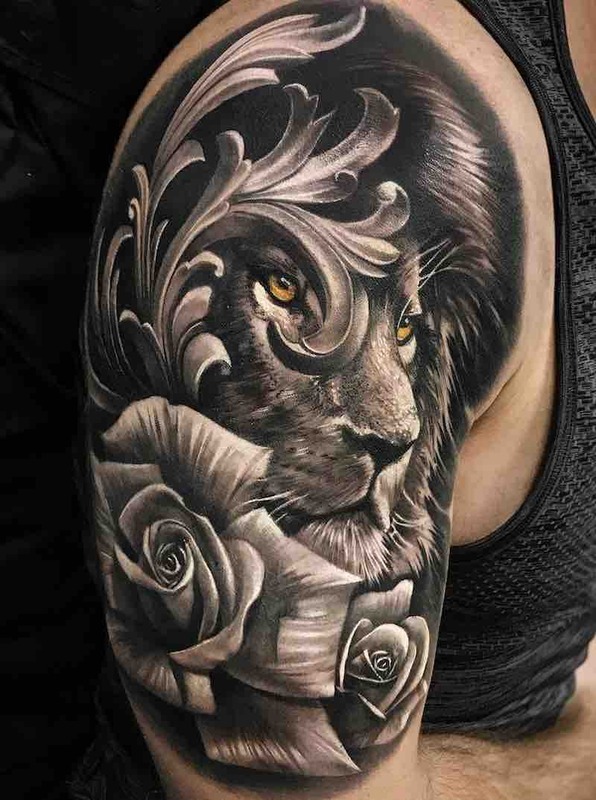 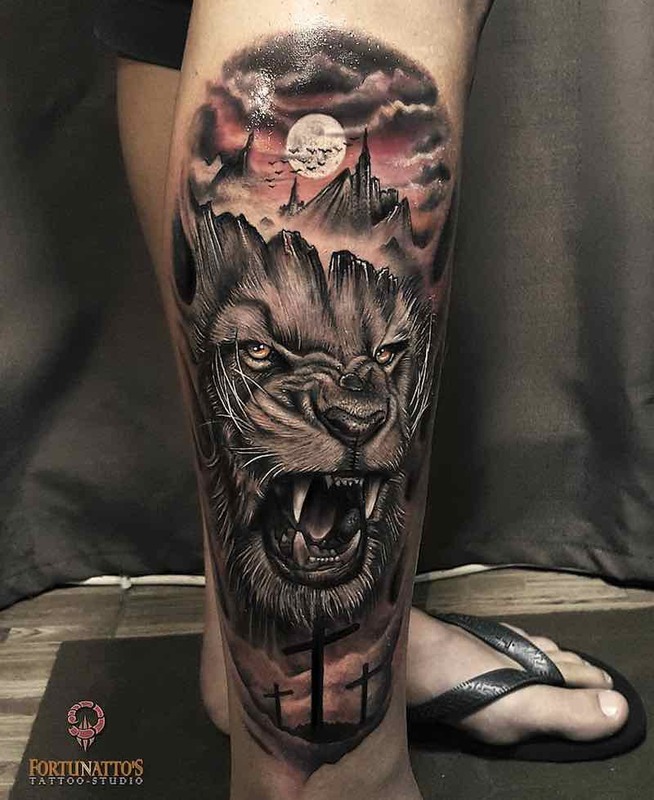 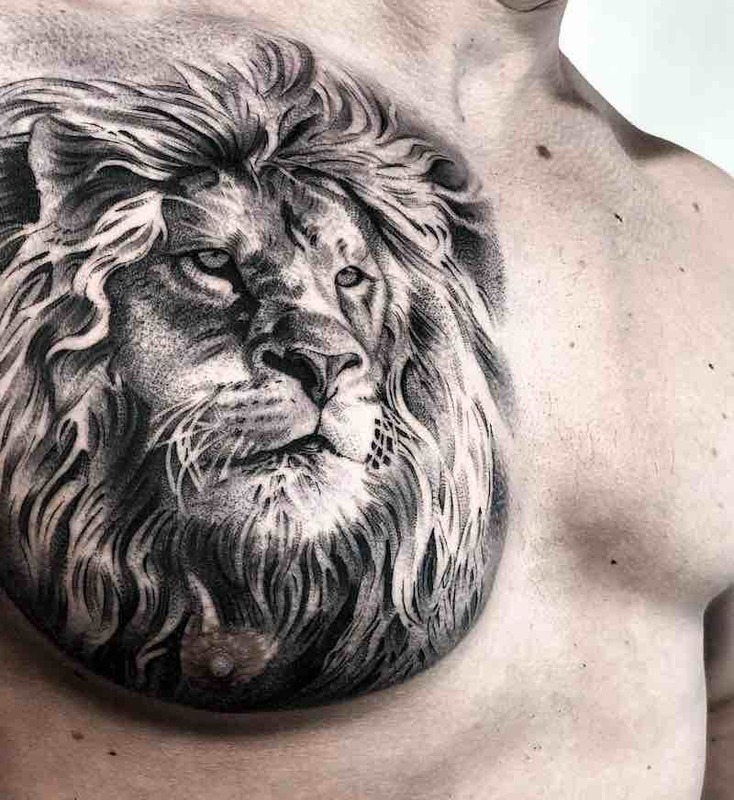 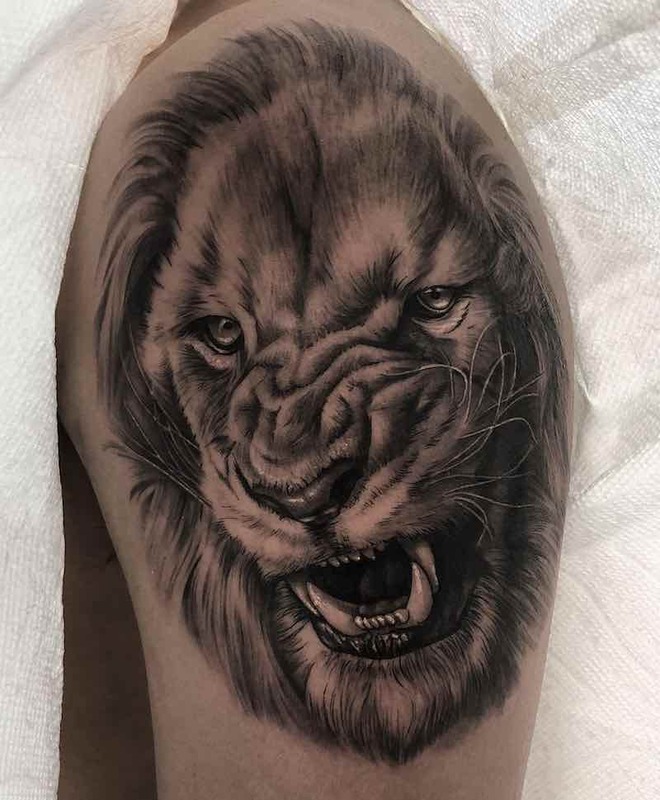 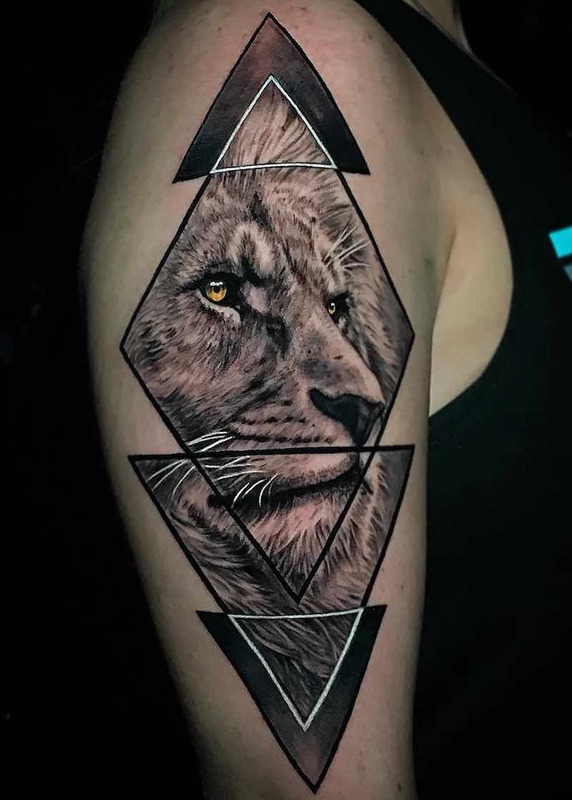 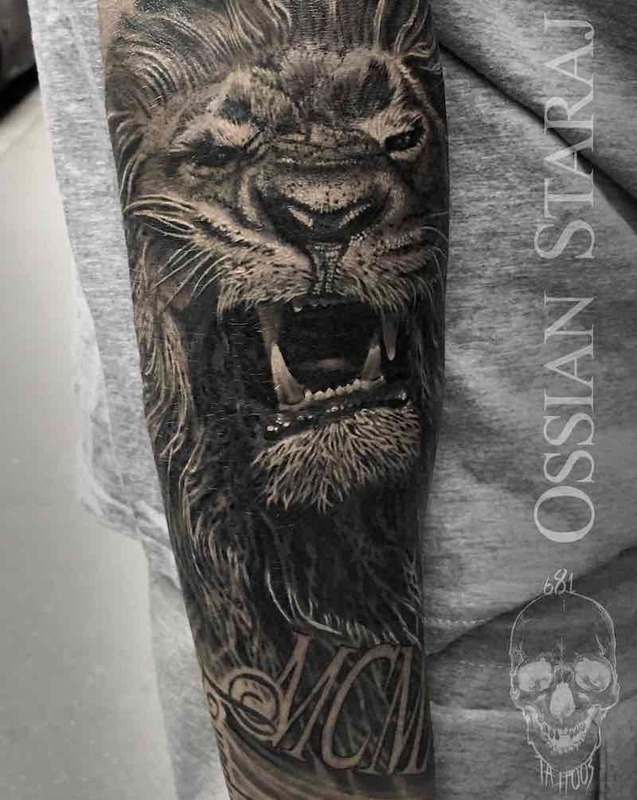 Lion tattoos can be done in a countless amount of styles, the most popular being realistic, neo-traditional and lions with crown tattoos, color is rarely used on lion tattoos and are typically done in black and grey. 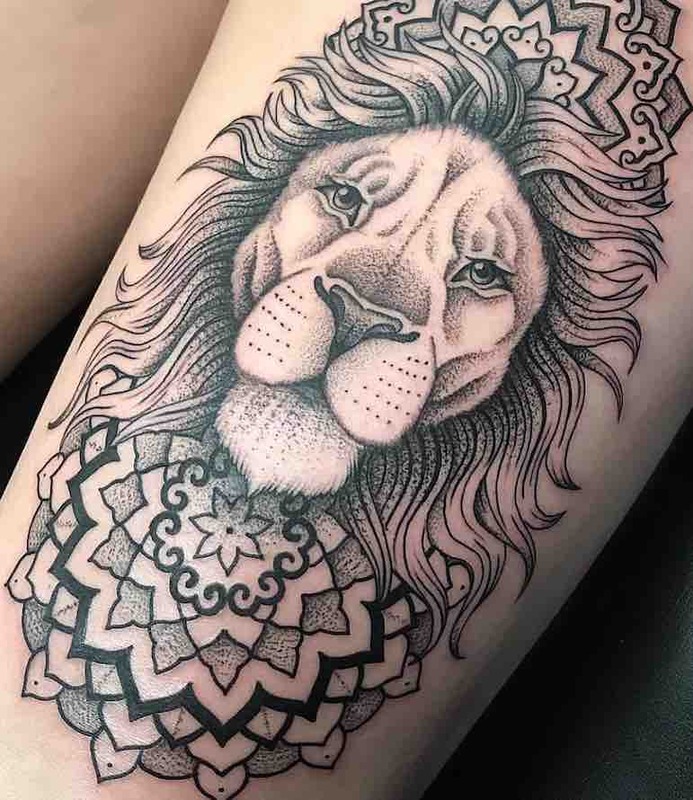 A lion tattoo can have a large variety of meanings and are all dependent on the wearer and what a lion personally means to them. 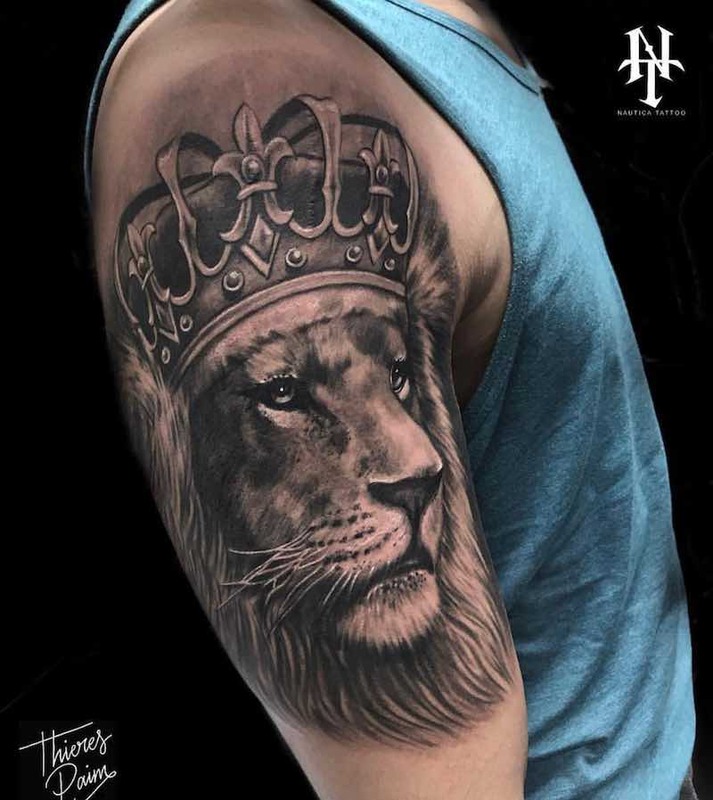 A lion tattoo has a lot of symbolism attached to the imagery, having a lion tattoo can mean you are either a powerful person or you have goals of obtaining power or strength. 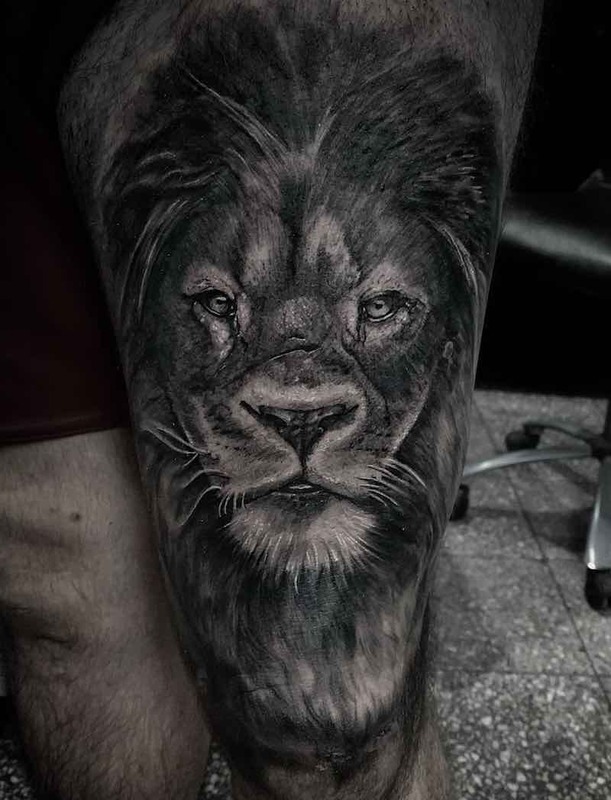 Another lion tattoo meaning is pride, usually meaning family pride but this can be having pride in anything in your life. 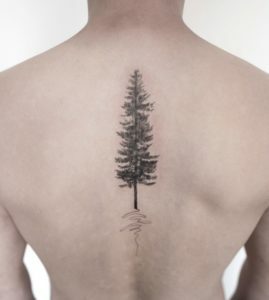 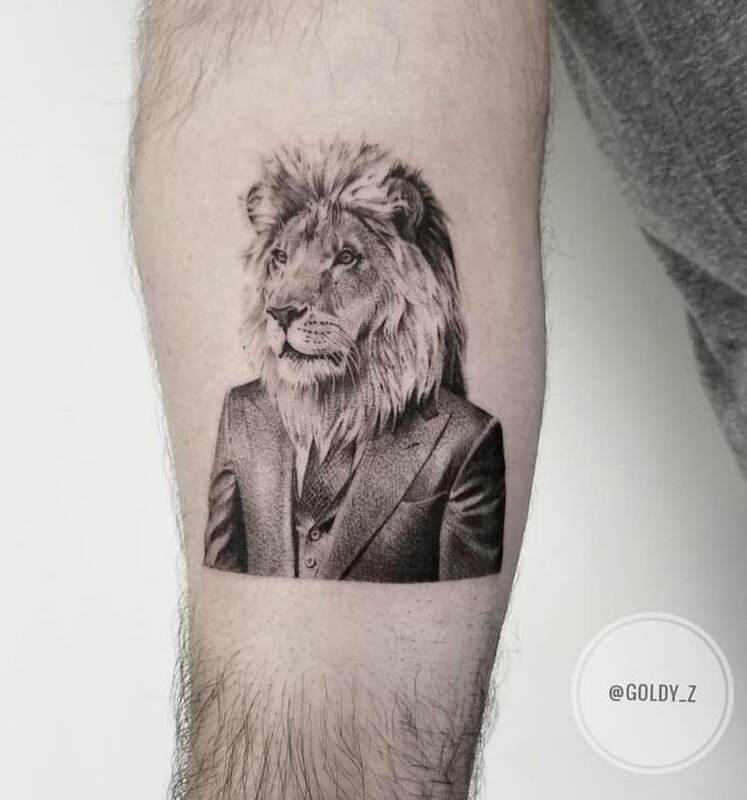 Courage is also a common meaning associated with lion tattoos, this can be a great way to either commend someone else or your own courage in life or serve as a reminder to be more courageous. 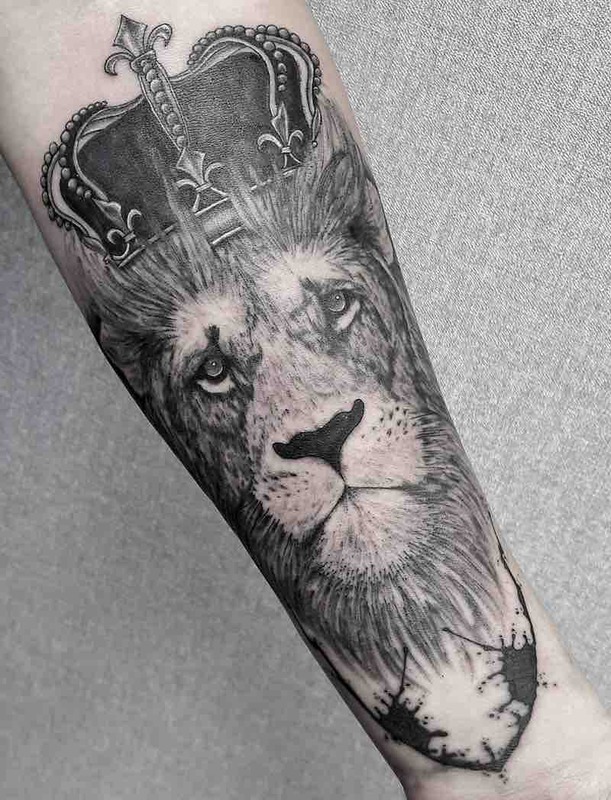 Lion tattoos in Christianity can have a different meaning to others, where the lion represents the power of God and can also symbolize protection for the wearer. 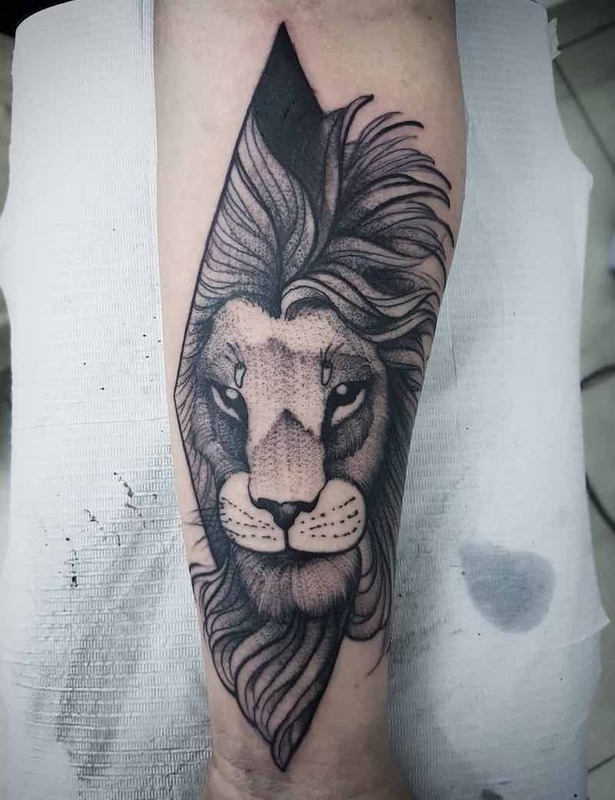 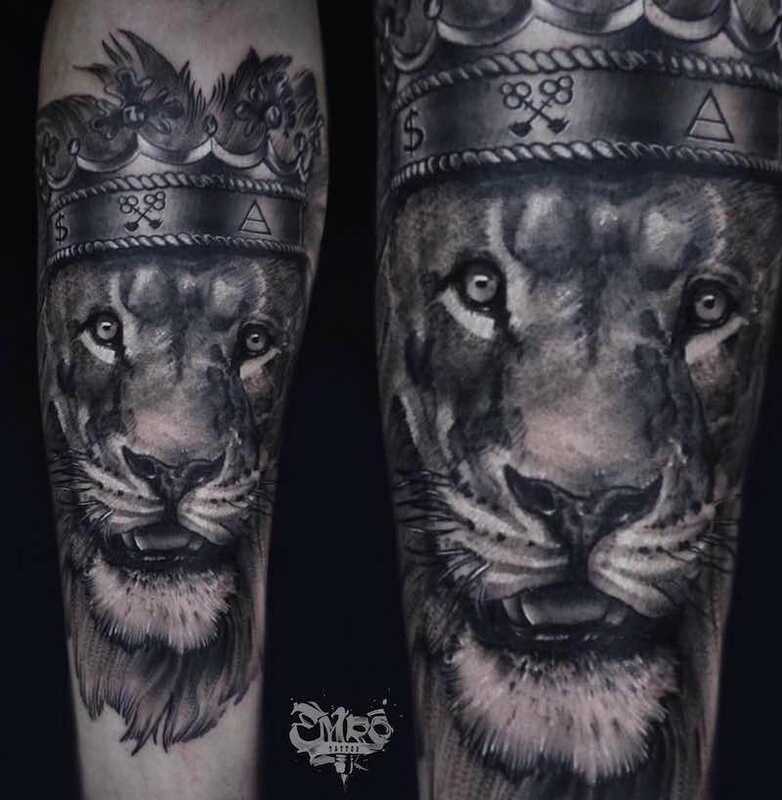 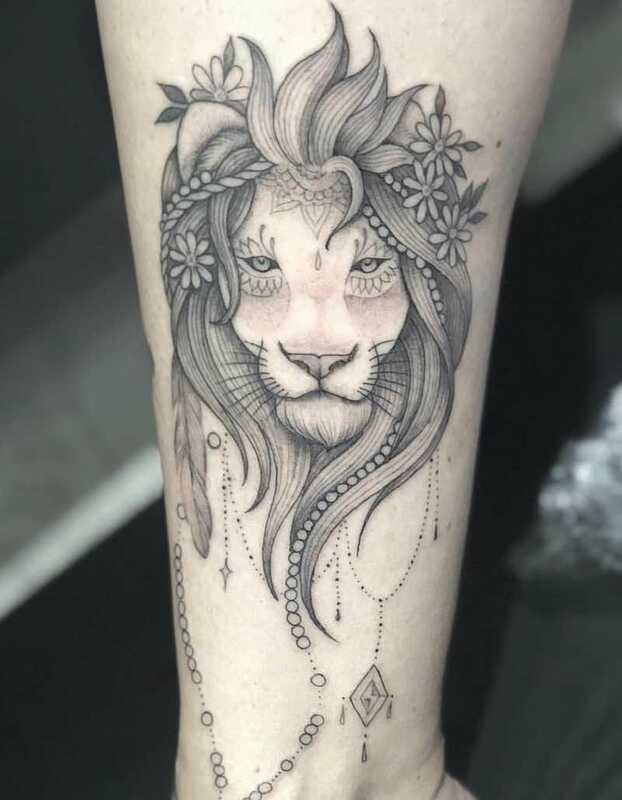 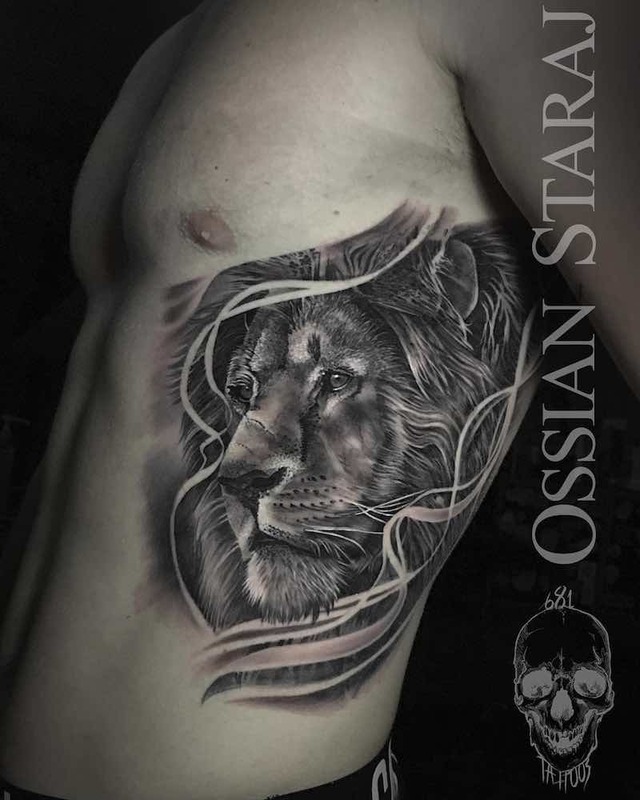 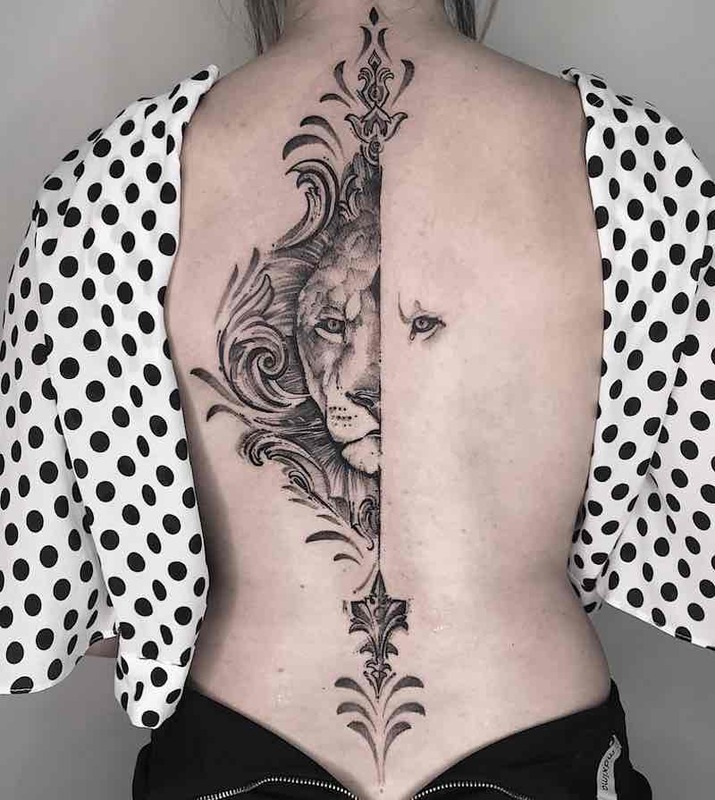 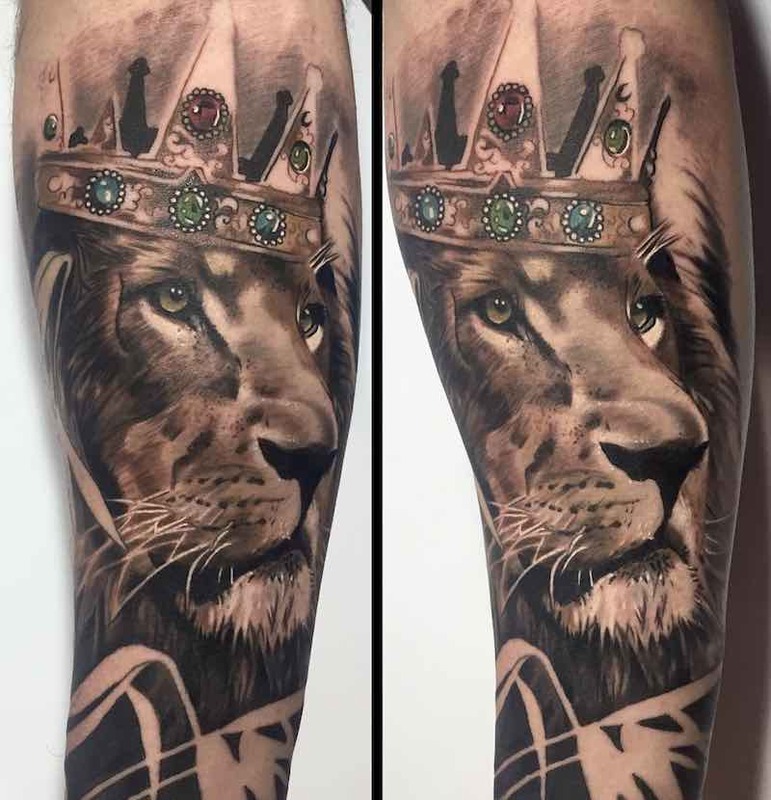 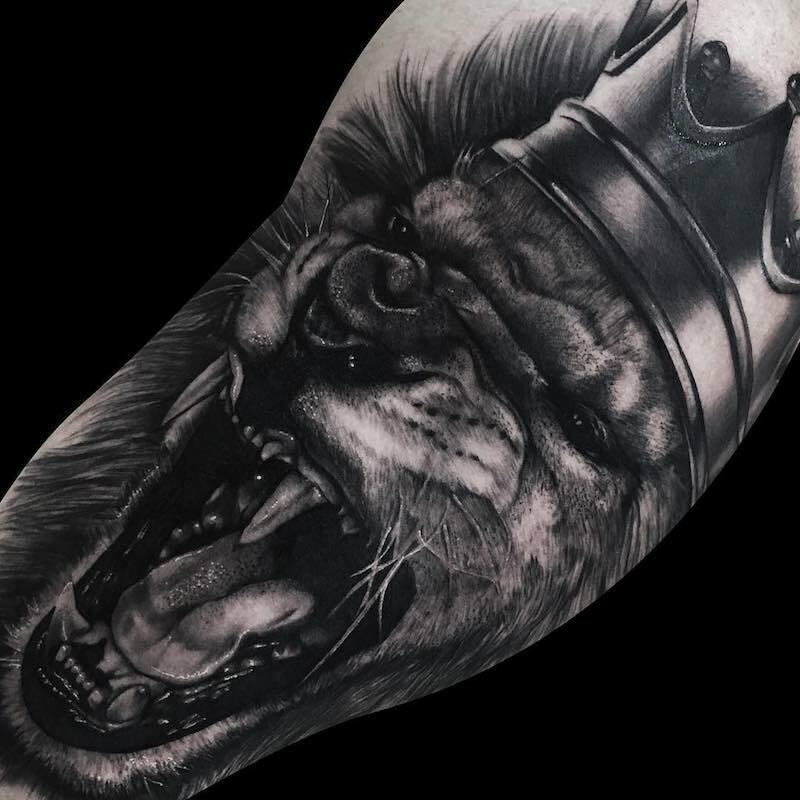 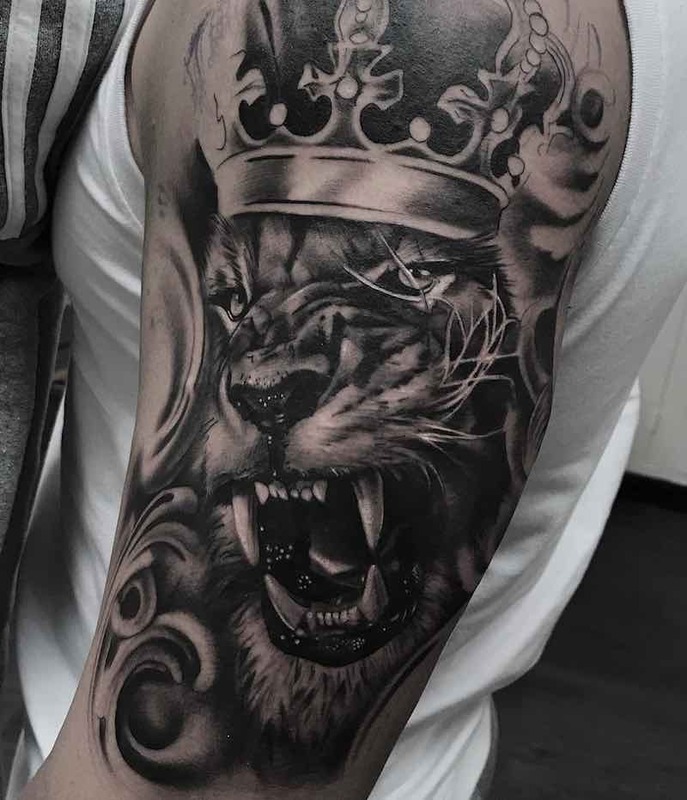 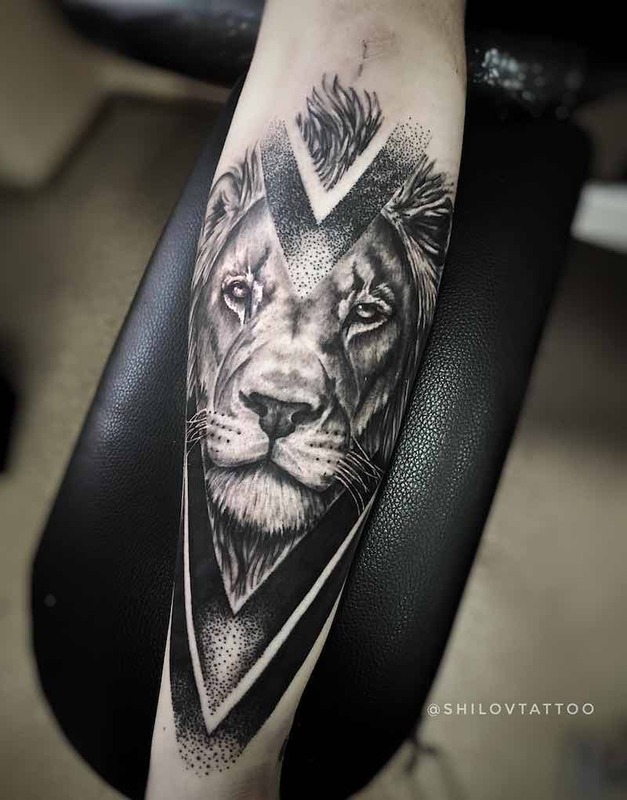 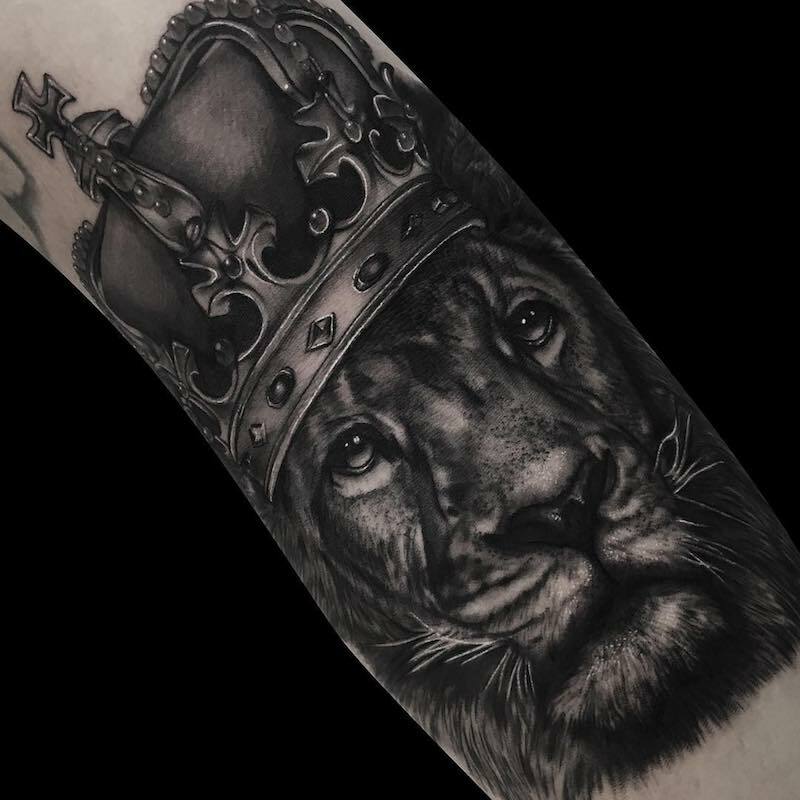 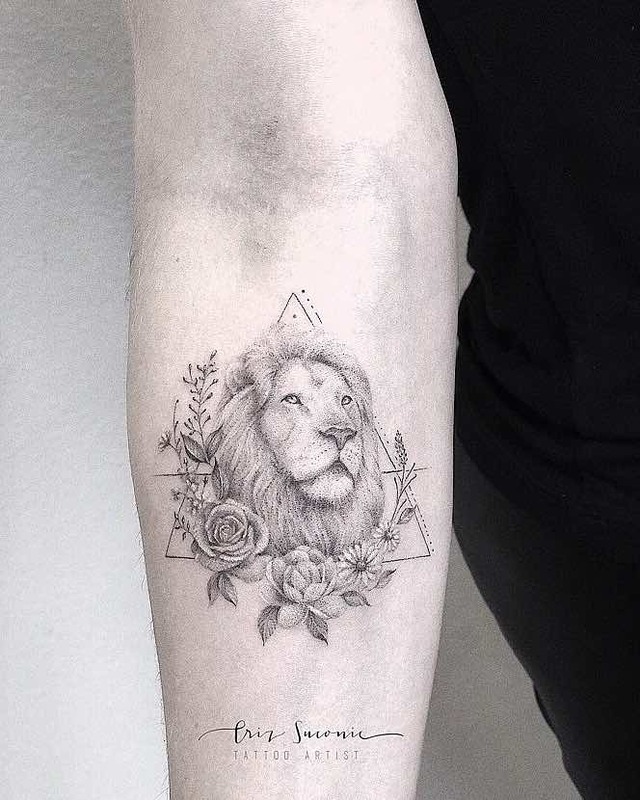 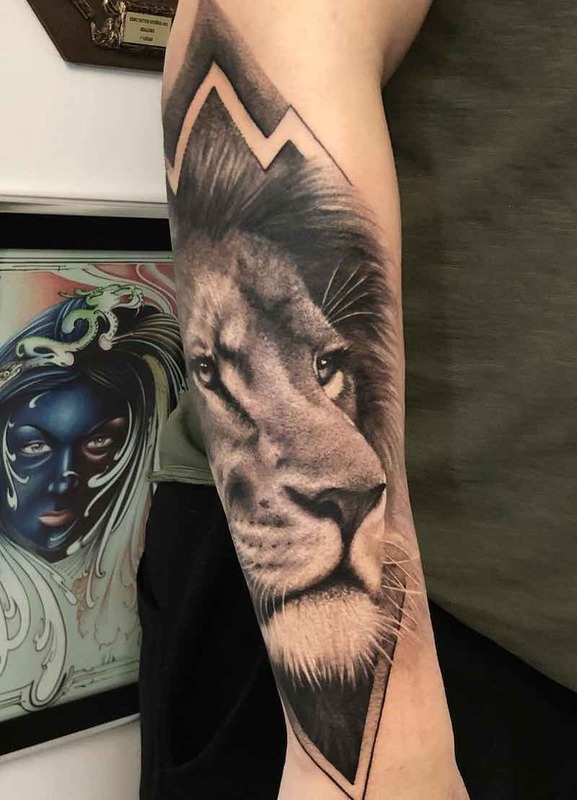 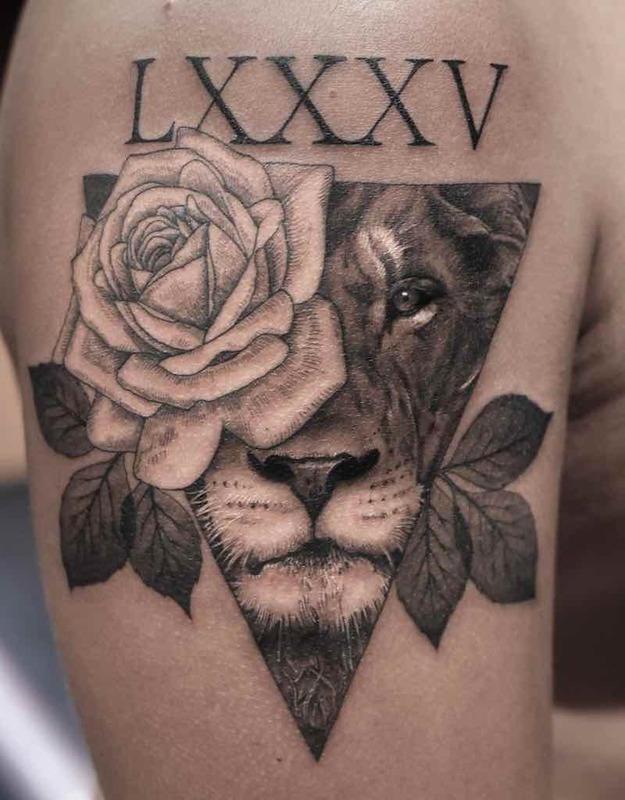 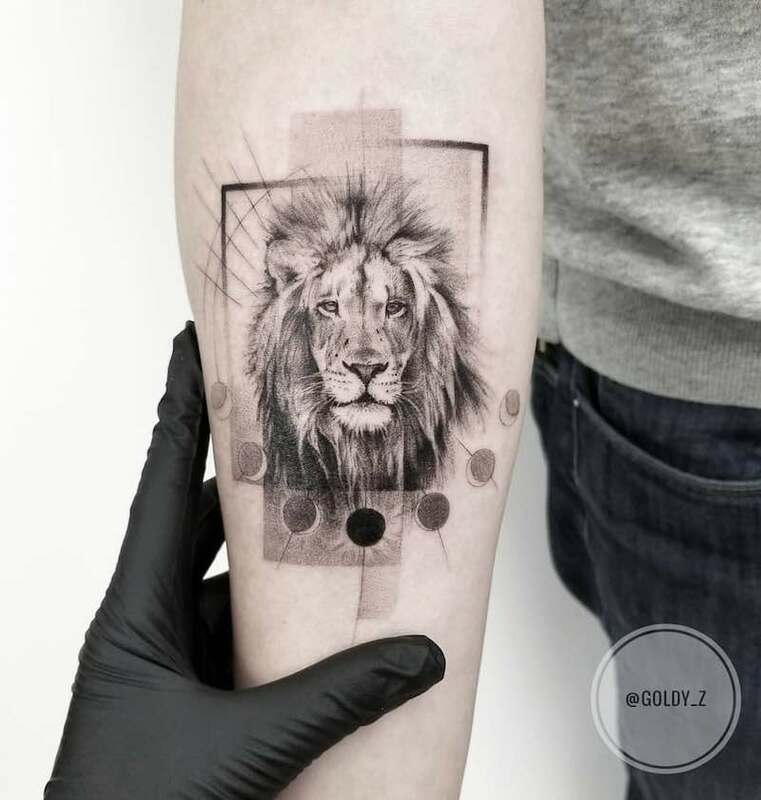 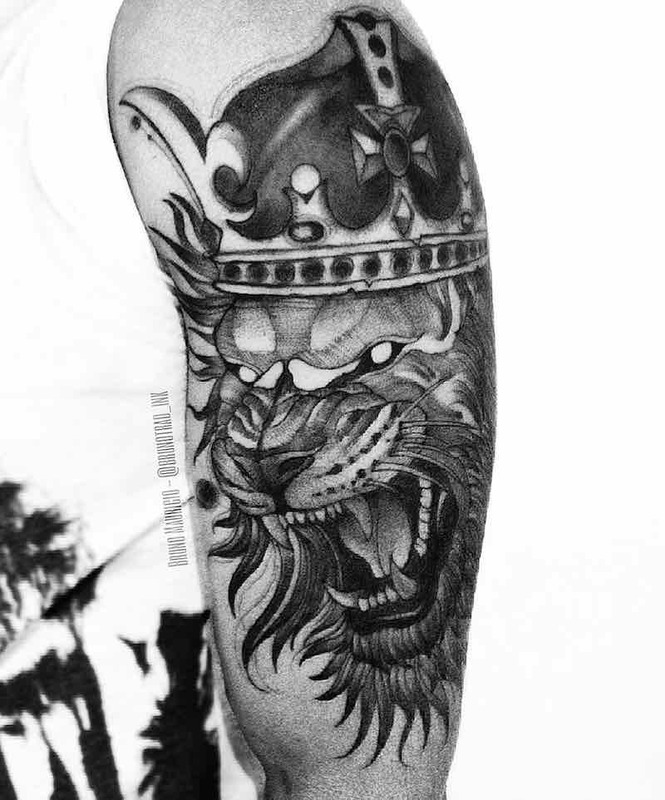 The most popular design is a lion with crown tattoo, usually meaning king of the jungle, this can also represent royalty or even more power than a lion would represent on its own, either way, a lion with crown tattoo looks great and the two elements go perfectly together.